Organize and conduct international conferences related to precision agriculture (PA), such as International Conference on Precision Agriculture, European Conference on Precision Agriculture, and other related conferences. Develop and maintain a web-portal to communicate the latest developments in PA with the world, and maintain a member listserv to communicate among society members. Publish a quarterly ISPA e-newsletter for members and other subscribers. Provide members an opportunity for publication of original scientific research in the society sponsored peer-reviewed journal, Precision Agriculture. Fourteenth ICPA keynote speaker Dr. Yoshua Bengio was recently awarded the Turing Award often known as the “Nobel Prize of computing.” Dr. Bengio shares this honour with his colleagues Geoffrey Hinton and Yann LeCun together known as the “Godfathers of Artificial Intelligence.” In Montreal, last June, Dr. Bengio entitled his speech “From data to decisions with artificial intelligence .” His presentation was a highlight of the conference. The ISPA Board wants to congratulate Dr. Bengio for this great achievement. Today, several dozen definitions exist to define the term “precision agriculture”. Some of these definitions are more widely used than others. However, the public perspective on precision agriculture has been changing with time and the original definitions may no longer be representative of this change. Many of the authors of published definitions are members of the International Society of Precision Agriculture (ISPA), and it will be a useful exercise to gather society-wide opinion on the proper definition. Please complete this short survey in an effort to develop a new definition and publish it on the front page of the ISPA webportal. The International Union of Soil Scientists has proclaimed 2015-2024 the International Decade of Soils. IUSS has identified the key roles played by soils in addressing the major resource, environmental, health and social problems which humanity is currently facing. The IUSS believes that it is incumbent to not only maintain the level of activity generated in IYS 2015 but to increase the momentum and the extent of our contributions on soils issues. 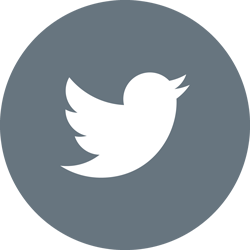 Checkout this site for Activities of Soil Science Societies and Soil Institutions. The Springer journal, Precision Agriculture, is now available to ISPA members through this website. When you login to the website you will see a Members tab at the far right of the navigation tabs. 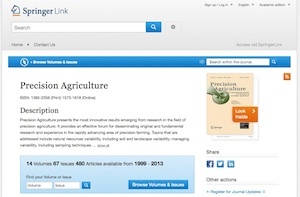 Click on the Members tab to see the menu and select Precision Agriculture journal to be redirected to the Springer site. Once at the site, click on the blue "Browse Volumes & Issues" button to access journal articles. Journal Impact Factor for 2013 is 2.01. © International Society of Precision Agriculture. All rights reserved.